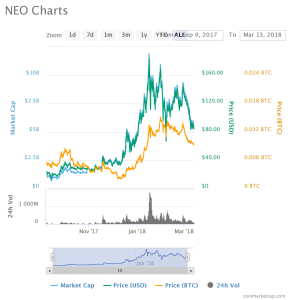 NEO has been falling steadily since February 27, the price of Neo has fallen from $142 to $83. Although the whole market is currently down Neo is suffering due to a series of misfortunes that makes the future look bleak. 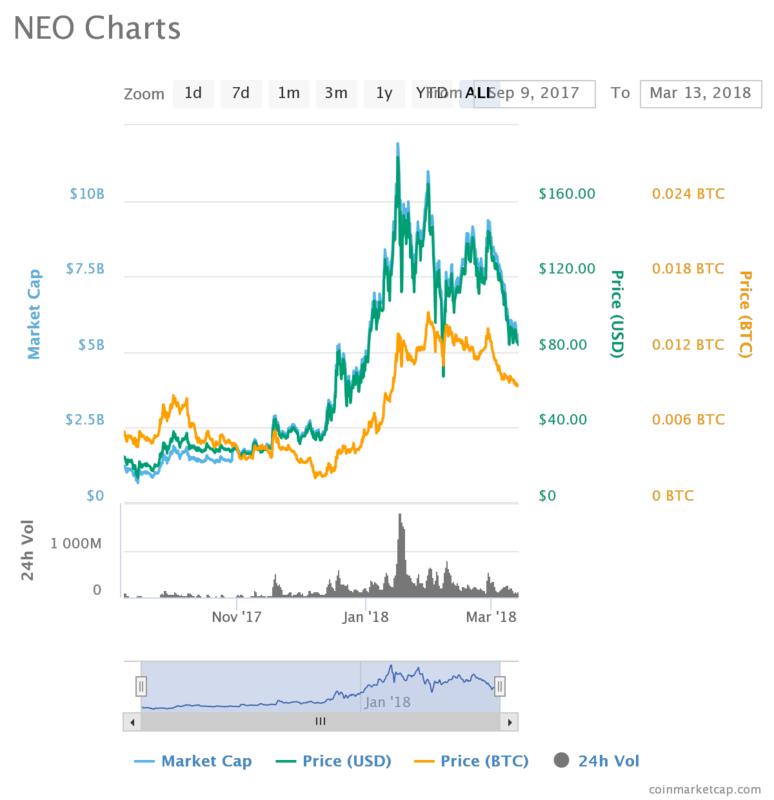 The problems are due to technical issues on NEOs network itself, it started with a faulty consensus node going offline and leaving the network hanging for some time. The problems did not stop there some users are reporting that some transactions are not being properly broadcasted and even getting lost on the way to the destination.